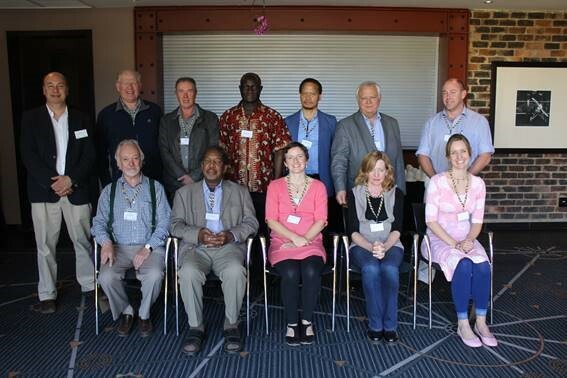 First of all – thank you for joining us during the past National Scholarly Editor’s Forum, and thank you for actively participating in the programme. This meeting is an annual highlight on the ASSAf Scholarly Publishing Unit calendar, since we get the opportunity to engage on a face-to-face basis with you. From the feedback received, it was a highly successful event with valuable opportunities for networking. Thank you so much for contributing towards making it a success! What made this year a bit different, was that we also hosted numerous workshops in collaboration with partner stakeholders. 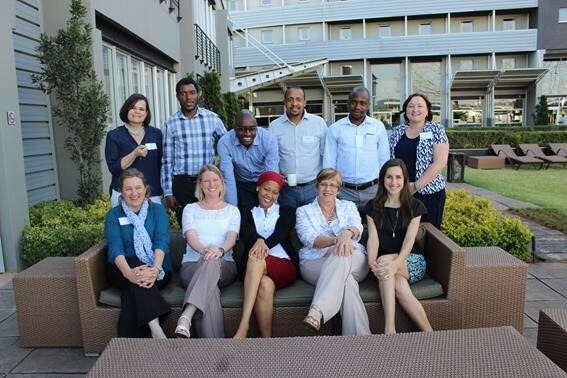 We managed to visit the Western Cape, Eastern Cape, KwaZulu-Natal, and also colleagues from Gauteng North. Upcoming and in support of international Open Access Week celebrated worldwide from 24 to 31 October, is a workshop on best practice scholarly publishing, to be hosted by the University of the Free State in collaboration with LIASA Free State Branch. The criteria for trusted and high quality scholarly journals will be shared, followed by an intensive workshop on using Open Journal Systems to manage and publish scholarly journals. Thank you to the University of the Free State and the LIASA Free State Branch for co-sponsoring these travels and accommodation. Three reviewers were appointed to evaluate each journal. We have received most of the reviews and we are currently compiling a Version 1 draft report of each journal to present to the Peer Review Panel. The Panel will discuss the reviews and will provide consensus answers to each of the criteria. ASSAf sent out a call for nominees of panel members earlier this year. The shortlist of nominees will need to be approved by the Committee on Scholarly Publishing in South Africa (CSPiSA) and the ASSAf Council before we can proceed with constituting these panels. We ask journal editors who have not submitted the questionnaire for the peer review yet to please submit it as soon as possible. Panel members and reviewers will require access to the last three volumes of the journal. 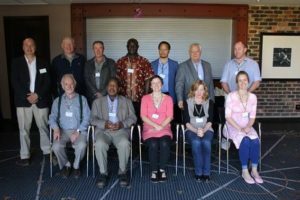 The 10th National Scholarly Editors’ Forum (NSEF) annual meeting, was held on the 1st September 2016 at the Protea Hotel, O.R. Tambo. The theme for this year’s meeting was Disruptive trends challenging scholarly publishing. Ms Susan Veldsman, Director of the Scholarly Publishing Programme (SPP) at ASSAf, presented an update on the activities of the SPP. Prof Keyan Tomaselli put forward a motion to discuss the publication of Master’s and PhD student journal articles to enable them to graduate. The programme was different this year as editors were grouped according to pre-selected themes to discuss the challenges facing scholarly journal publishing in South Africa. Editors enjoyed the opportunity to interact with each other and network with others in the field. Prior to the meeting, attendees were encouraged to register for an ORCID (http://orcid.org/) if they had not already done so, and ORCID sponsored a prize for a lucky draw that was presented in the afternoon session. Prof Johann Mouton presented a sample of the results of the CREST study on publishing trends in South Africa with particular emphasis on journal publishing. The editors found the presentation to be a useful analysis of journals in South Africa. SciELO SA Advisory Committee: The SciELO SA Advisory Committee will meet during the last quarter of the year to decide on criteria to admit and retain journal titles in the collection. On 31 August 2016 the collection included 19 020 articles, 1231 issues and 65 titles. Since its inception in 2009 the SciELO SA collection has been accessed almost 5 million times. 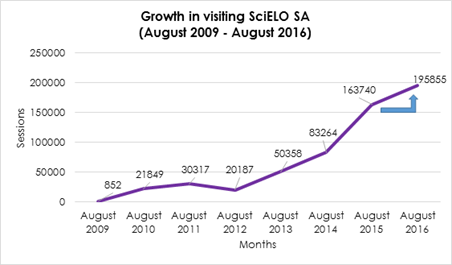 New SciELO software: During September 2016 a new version of the SciELO software will be installed at ASSAf. From 19-23 September two staff members from the SciELO Network will visit ASSAf to train the SciELO SA staff in the usage of the new version. The past DATAD annual conference (Bulawayo, Zimbabwe) was a clear indication of progress made in terms of Africa sharing its research with the rest of the world. As part of this project, an evaluation instrument with criteria for trusted institutional repositories was developed and shared with the audience. In future, only repositories adhering to the requirements will be included for harvesting through DATAD, which will be hosted by ASSAf. Repositories adhering to additional criteria on top of the basic requirements, will qualify for the DATAD Seal of Approval. The DATAD project will mostly focus on harvesting the metadata from theses and dissertations made available through African repositories, and we hope to extend it to data sets accompanying research output, as part of the African Open Science Platform. Also read the Altmetrics Manifesto for the rationale behind the above. Important partners as part of the African Open Science Platform Project are ICSU, CODATA, and the Department of Science and Technology. ASSAf has been working with CREST to build a database of all SA scholarly journals, their history, rankings, accreditation status, and more. This database was developed with programming expertise from CREST, while ASSAf provided input on journal details. We hope that this database will address challenges faced on an annual basis, in terms of identifying and finding information about our almost 400 journals. We will heavily rely on editors and other role players to help keep this database up to date. More information on this will be shared soon. It will be updated annually, to accommodate changes informed by the DHET list of accredited journal titles. A webinar was presented to address the requirements for inclusion in the DOAJ. Two very important requirements: only peer-reviewed, open access journals are approved, in addition to other requirements. Quest: Science for South Africa is a popular science magazine published by ASSAf. The magazine is used for science promotion, engagement and curriculum support. The articles are contributed by researchers, scholars and practitioners in different science fields. The scholarly publishing unit at ASSAf has been tasked with the responsibility of ensuring that the magazine reaches the length and breadth of this country and abroad particularly in previously disadvantaged communities. As journal publishing increases and the quality improves, we hope to improve the throughput by exposing the young ones to careers in science and cutting edge research in South Africa, to encourage and expose them to possibilities. We also hope to ensure that we can contextualize content so that they see the application of what they learn in everyday life. Please get in touch with us should you have any questions regarding any of the above issues mentioned, and we will try our best to assist. Wishing you all the best for the remainder of the year!